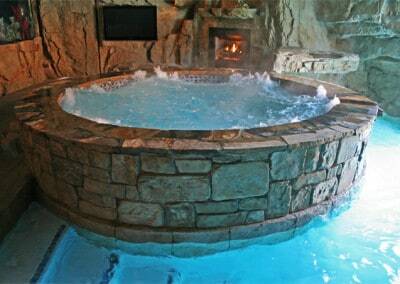 Spa Options - RicoRock®, Inc. 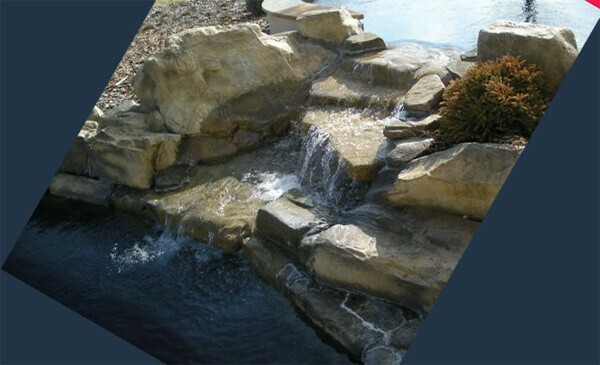 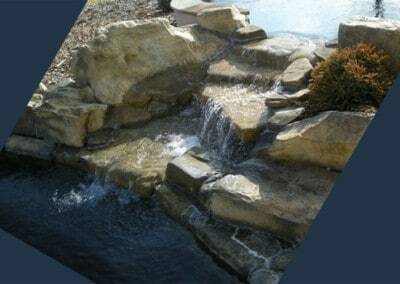 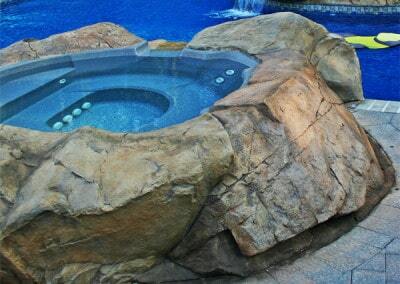 There are many rock design options for raised concrete or acrylic spas, limited only by the imagination of the installer. 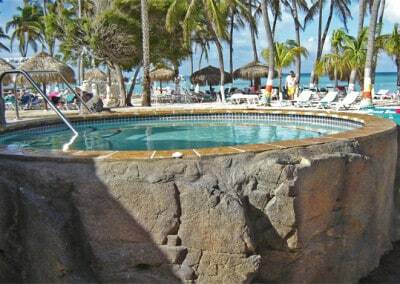 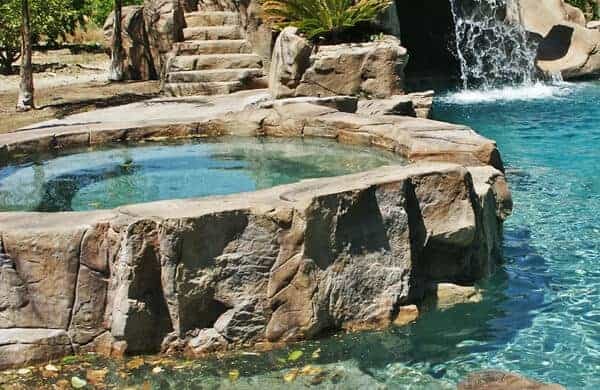 RicoRock boulders can be cut and backfilled with mortar for a stacked stone effect better than the natural stones because they require large mortar joints. FRC castings can be installed by experienced rock makers for a rock formation effect. 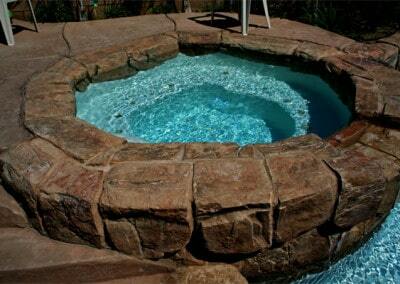 Often these castings are shot in place when the spa is constructed, saving lots of time. 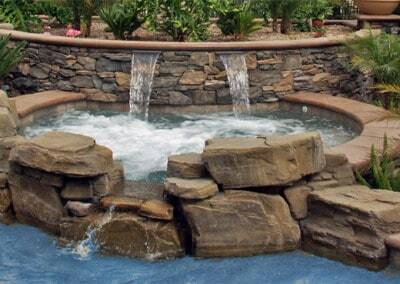 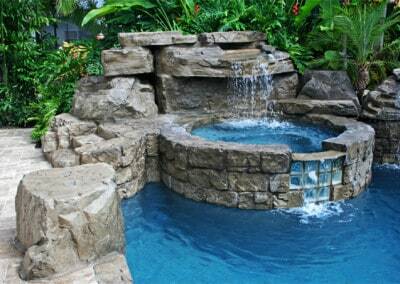 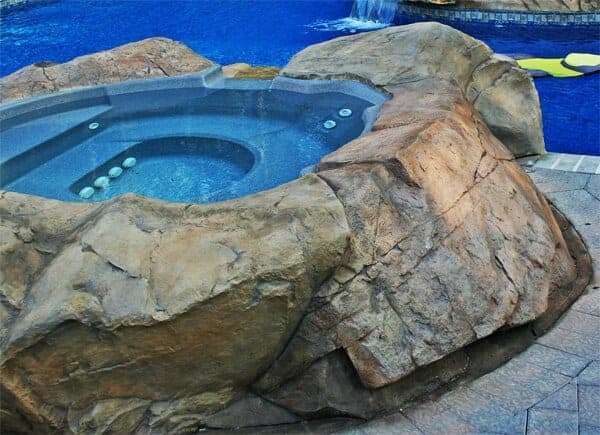 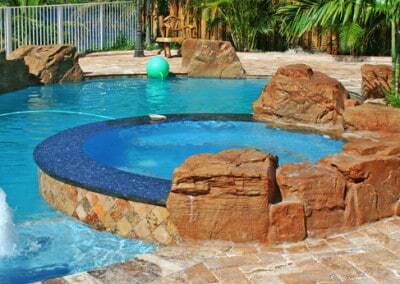 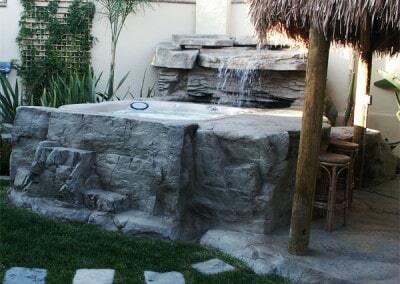 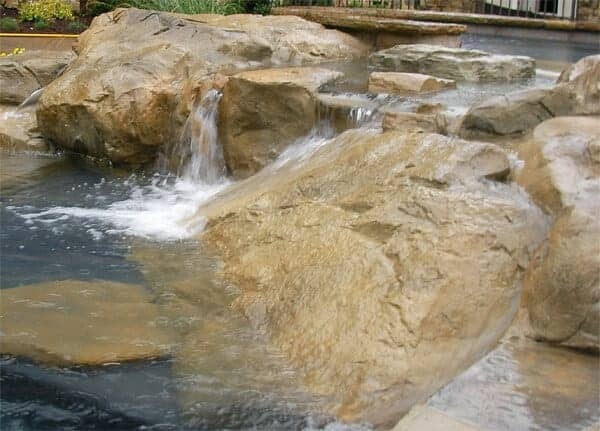 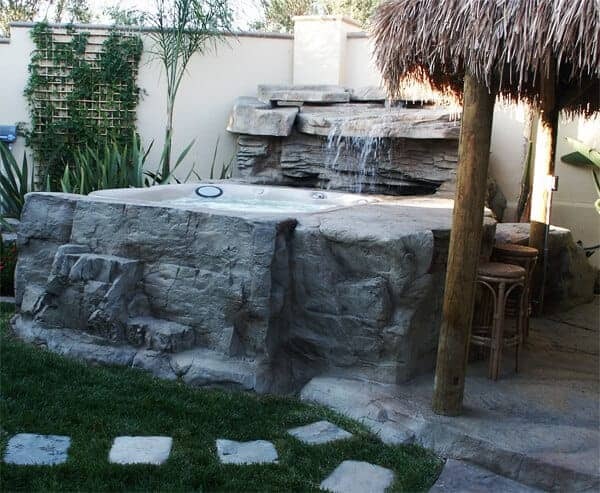 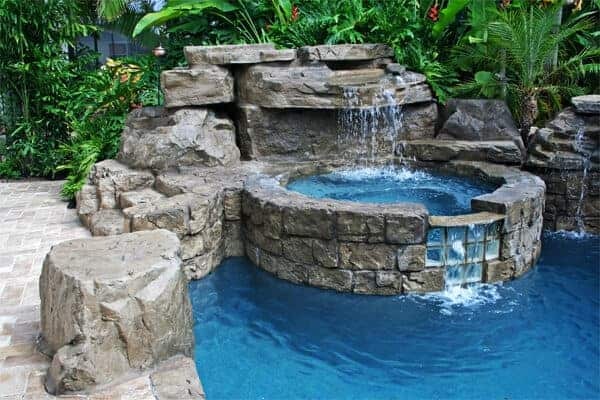 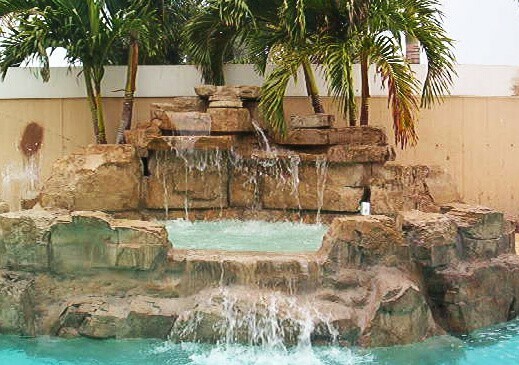 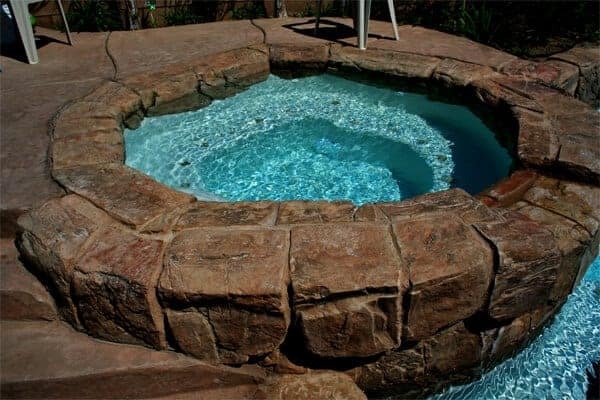 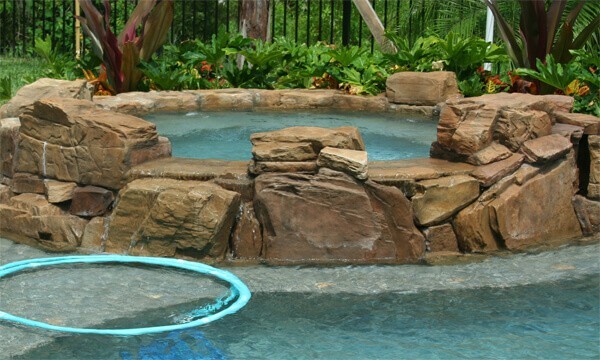 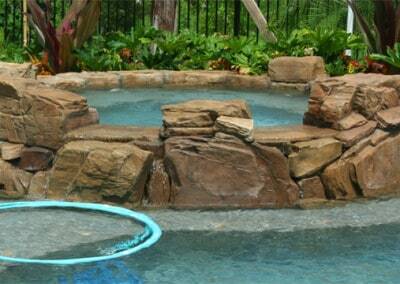 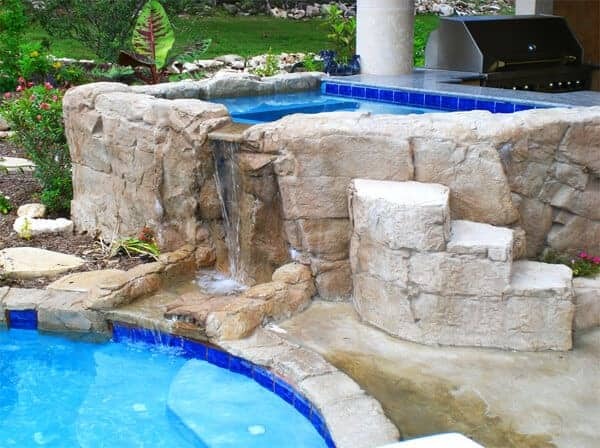 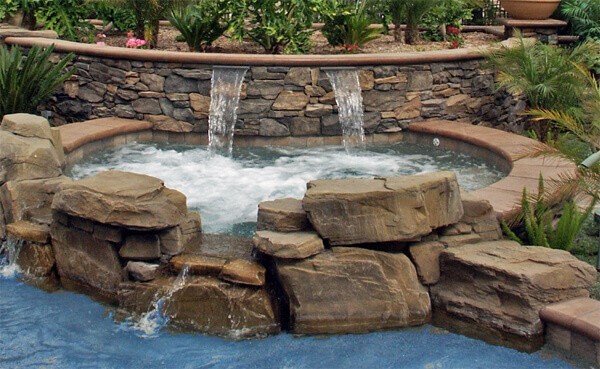 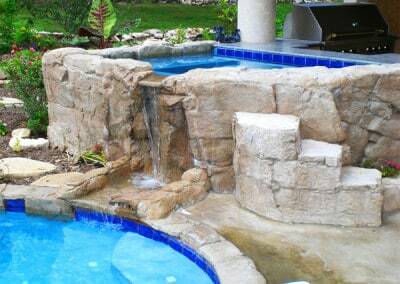 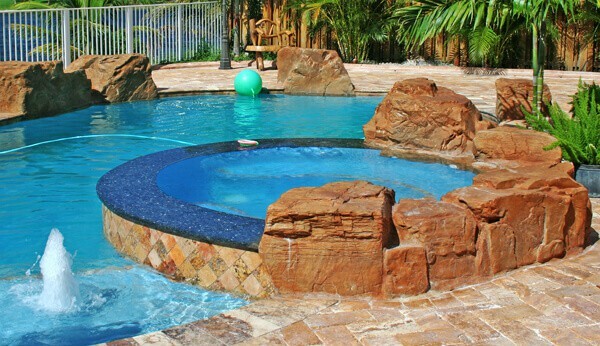 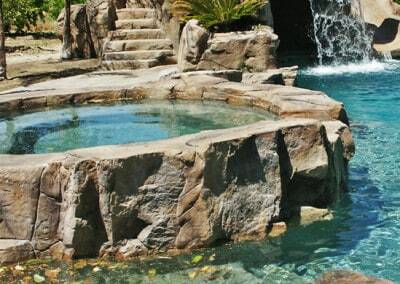 Castings can also be used to disguise an acrylic spa and make it blend into a custom rock pool environment. 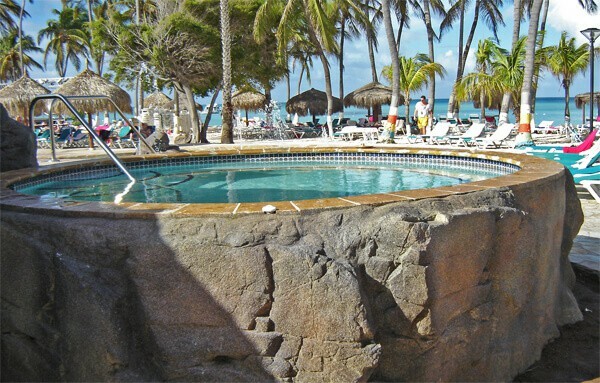 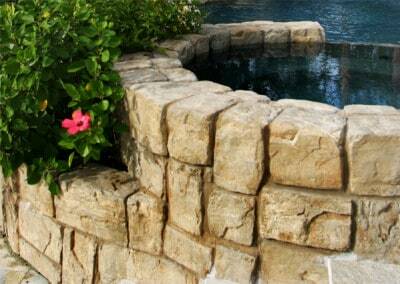 RicoRock® Coping/Waterline and Veneer stone can create a cut stone “Tuscany” look. This works especially well for those using pavers for their decking material.